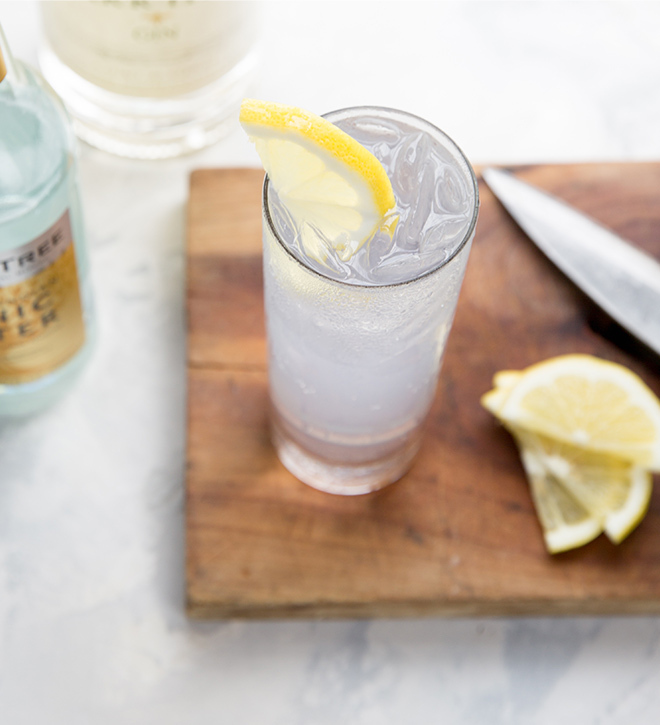 In a tall glass filled with ice, add gin, then tonic. Add garnish. Tonic is made from a South American tree species called Cinchona. Quinine is extracted from the bark. In 1700s a Spanish scientist confirmed that quinine helps fight malaria and Europeans started sending ships to South America to load up on the trees. British Merchant Charles Ledger in 1860 sold some seeds to the Dutch for the equivalent of $20. The Dutch sent them to Java (now Indonesia) and developed a way to strip the bark and heal the tree without killing it, quickly developing a monopoly. WWII changed everything, Japanese troops took control of Java and Germans seized a quinine warehouse in Amsterdam. American botanists were sent to South America to find more but couldn’t get enough for the fevered allied troops, eventually the Nazis actually sold some to them. Its bitter taste was always difficult for patients, mixing it with soda water and a bit of sugar helped. British colonists in India in the 19th century thought that adding a splash of gin improved the medicine considerably and the Gin and Tonic was born. It is said that it they two liquids chemical structure have a similar molecular shape that attract each other and shield the bitter taste. Since it is no longer used as a medicine for Malaria, tonic today contains much less quinine. A cocktail representation of Barr Hill Gin.